A new report is adding fuel to the rumors of an Apple car with evidence of a mysterious off-site research facility. Citing unnamed sources, AppleInsider claims that the “Apple Car” is not just a concept, but a full-blown project that Apple is developing in secret away from its main campus. Most intriguingly, AppleInsider says it may have discovered the Sunnyvale, Calif., site where this research is reportedly taking place. Apple occupies several buildings in a large office complex in Sunnyvale, Calif. Among the buildings not occupied by Apple is a company called “SixtyEight Research,” at least according to a posted sign on the front door. A quick Google search brings up a website with practically no information on what the company does. Permit filings for the building next door—which also has no listed tenant—call for an “auto work area” to be constructed on-site. SixtyEight was registered in Delaware last March, and licensed as a foreign corporation in California last November. Since then, it has paid to import a 1957 Fiat Multipla 600 from the United Kingdom. Apple design head Jony Ive is a fiat fan, and co-designed a Product(RED) Fiat 600 for auction in 2013. A sign on the front door of SixtyEight’s building notes that the company’s lobby has moved. It is apparently now located in the Sunnyvale complex’s largest building, which is leased entirely by Apple. The connections between SixtyEight and Apple are tenuous at best, but there are enough of them to at least warrant some suspicion. And as AppleInsider notes, Apple has used shell companies to obscure its motives before. Now we’ll just have to wait and see if SixtyEight packs up moves elsewhere. Why this matters: While AppleInsider’s story doesn’t reveal any new details about the actual project, it helps back up numerous earlier reports that claim Apple is building an automobile. 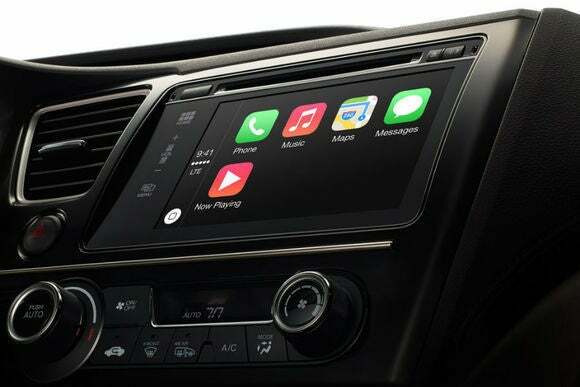 When considered alongside all the recent hires Apple has made in the automotive field, it’s getting harder to doubt that Apple is cooking up an actual car. Even if the speculation on SixtyEight isn’t true, it’s definitely the wackiest bit of Apple car scuttlebutt we’ve seen yet.